Lisa, the executive director of the Latin America Working Group, has spearheaded advocacy on human rights and peace issues in Latin America for two decades. She directs advocacy on Colombia, Central America, development and military aid and policy and coordinates coalition campaigns with U.S. and Latin American partners. Lisa has testified multiple times before the U.S. Congress and produced reports, memos, and blogs on human rights topics. She has participated in international human rights verification missions in Colombia, Mexico and Central America, including on extrajudicial executions, human rights defenders, migrant rights, and electoral observation. Lisa has served as executive director of the LAWG since June 2002 and as senior associate from 1993-2002. 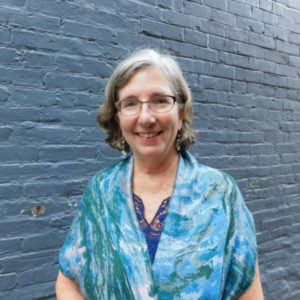 Prior to her work at the LAWG, she was executive director of the Central America Historical Institute in Washington, DC and writer, editor and translator for the Jesuit Instituto Histórico Centroamericano in Managua, Nicaragua. She has a BA from Swarthmore College, a Master’s degree in Latin American studies from New York University, and was a Fulbright scholar in Central America.